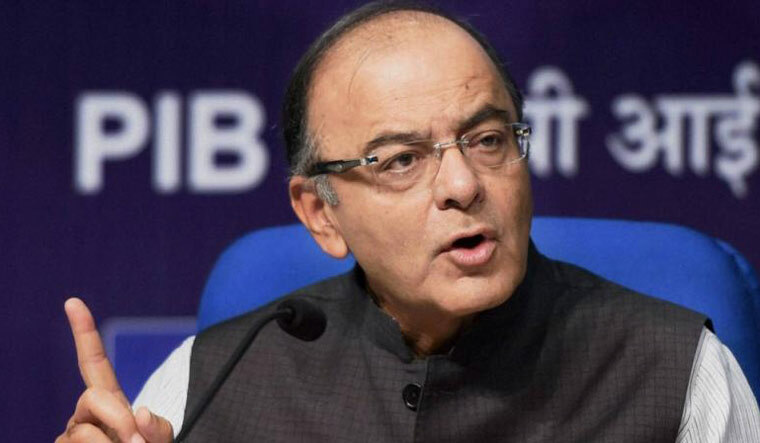 The larger purpose of demonetisation was to move India from a tax non-compliant society to a compliant one, and invalidation of non-deposited currency was not its only objective, Finance Minister Arun Jaitley said today. His comments come a day after Reserve Bank of India said that almost all the Rs 500 and Rs 1,000 notes made illegal in November 2016 have returned to the banking system. Reeling out data on increase in taxpayer base to justify the unprecedented demonetisation which overnight sucked out 86 per cent of the currency in circulation, Jaitley wrote in a Facebook blog that "this necessarily involved the formalisation of the economy and a blow to the black money". He further said: "Was the invalidation of the Non-deposited currency the only object of demonetisation? Certainly Not." Banks received Rs 15.31 lakh crore or 99.3 per cent of the Rs 15.41 lakh crore worth of Rs 500 and Rs 1,000 notes that were in circulation on November 8, 2016 — the day when the note ban was announced, according to the RBI. This means that just Rs 10,720 crore of the junked currency notes did not return to the banking system. Initial estimates had pegged that around Rs 3 lakh crore worth of demonetised notes would not return to the system as they might have been stashed away illegally to avoid taxes. Jaitley said that when cash is deposited in the banks, it loses anonymity and can be identified with its owner. "Accordingly, post demonetisation about 1.8 million depositors have been identified for this enquiry. Many of them are being fastened with tax and penalties. Mere deposit of cash in a bank does not lead to a presumption that it is tax paid money," he said. He reeled out numbers to support his claim – number of income tax returns filed growing from 3.8 crore in March 2014 to 6.86 crore in 2017-18; number of new returns filed post demonetisation increased by 85.51 lakh and 1.07 crore in past two years; advance tax in first quarter of 2018-19 witnessing a rise of 44.1 per cent in personal income tax and 17.4 per cent in corporate tax category; and income tax collection increasing from Rs 6.38 lakh crore in 2013-14 to Rs 10.02 lakh crore in 2017-18. "When the impact of demonetisation and other steps is analysed, the Income Tax returns have increased by 19 per cent and 25 per cent. This is a phenomenal increase," he said. "The growth of income tax collections in the pre-demonetisation two years was 6.6 per cent and 9 per cent. Post-demonetisation, the collections increased by 15 per cent and 18 per cent in the next two years. The same trend is visible in the third year." This, he said, is the positive impact of demonetisation. "More formalisation of the economy, more money in the system, higher tax revenue, higher expenditure, higher growth after first two quarters," he added.